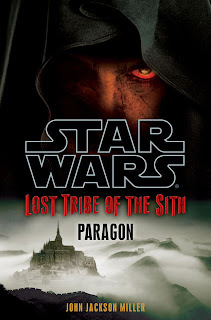 The Suvudu Free Library released the third part in the Star Wars Lost Tribe of the Sith series this month titled Lost Tribe of the Sith: Paragon by John Jackson Miller. Another wonderful addition to this series which dives us into the reality of what it means to be Sith, how this tribe came to be and their struggles for internal and external power. This short series has been a fantastic edition to Star Wars lore and does not dissapoint.